Own an iPhone/iPod touch and a fan of the Cancucks? 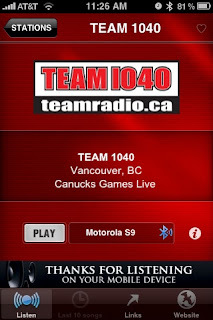 Want to follow the Canucks on the go? check out these mobile apps. Check out the new CHUM Radio for iPhone, iPod touch, and iPad on the iTunes App Store it will let you stream over the iphone and should be able to run the radio in the background. 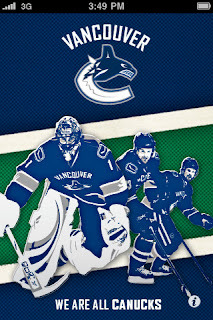 This free Canucks App gives fans instant access to exclusive news, features, message boards, videos and photos and allows them to go inside the locker room for updates on the players, from the players.